We all know when we are treated to the sight of someone yawning what their dental history has been. When we see rows of dark metal fillings lining up along their jawbones, we can imagine a childhood filled with sweet treats and maybe a few tussles with the parents and the toothbrushing. Our childhood fillings have been with us a long time, especially if we are children of the 70s, 80s or 90s. Sometimes it can seem like we can never forget that we should have done what our parents said, and now we have to pay the price every time we laugh or yawn. But we don’t. Here at Leamington Spa Dental Practice in Leamington Spa, we can replace amalgam fillings with fillings made of tooth-coloured composite. This is a mixture of glass and plastic. It comes as a resin that we put into the cavity in layers, and then harden each layer with a UV light before doing the next. What’s so great about white fillings? OK, so white fillings look fantastic, but is there anything else to recommend them over amalgam? You bet there is. Over the few decades that white fillings have been available, dental researchers have been working to make them stronger. Fillings, especially ones at the sides and back of the mouth, take quite a lot of punishment with all that chewing and maybe even night-time tooth grinding, so they have to be resilient. They weren’t so long-lasting when they first became available, but now, it’s safe to say that white fillings are stronger and more durable than amalgam. Run your tongue over your amalgam-filled back teeth and you will feel the tooth round the sides of a flat centre of amalgam. That’s because amalgam is a soft mixture that gets packed into the tooth cavity. We can pack the cavity tightly but we can’t recreate the lost parts of your tooth. We can with composite resin though. Once it has set hard, we can use tools to sculpt it to recreate the mounds and valleys of your lost chewing surfaces. Why not come in and get your amalgam fillings replaced with white fillings? This entry was posted in White Fillings on 3rd April, 2019 by lsdp. How is your face after the winter? Do you think you look a bit more tired and weary now that winter is coming to an end? Is your age starting to show and you’d like to do something about it? At Leamington Spa Dental Practice in Royal Leamington Spa, we use dermal fillers to help bring tired looking faces back to life. Dermal fillers are injections of hyaluronic acid that help to fill out areas of the face that have lost their natural plumpness and are starting to look wrinkled or hollow. Hyaluronic acid is a natural acid produced in the body. It is used to lock in moisture, so you find it in the skin, giving it that plump and dewy look. It’s also found in the joints, keeping cartilage moist and making joints easier to use. When we use it on the face, we inject tiny amounts of dermal fillers into wrinkles and hollows. There are various different brands of fillers. At Leamington Spa Dental Practice, we use Juvaderm. Most of our patients ask to have dermal fillers put into the lines that run between the nose and the mouth, lines around the lips and also the lines that run from the mouth down to the chin. It’s also great on the backs of the hands. When you have the treatment, there might be a bit of bleeding, which is normal. You must also take precautions, such as avoiding extreme facial expressions, after the treatment to allow it to settle down. You will be able to see a difference straight away after having the treatment, but it will continue to develop over the next 2 weeks, after which you will see the full effect. We like you to come back for a follow-up appointment 2-3 weeks after your treatment so that we can make sure everything is OK, or if you need a bit more product. This is to make sure you will get the full value from your treatment. You can expect your treatment to last for about 6-8 months, although treatments on the lips don’t last as long. Why not book a consultation and see how dermal fillers can lift your face? This entry was posted in Dermal Fillers on 6th March, 2019 by lsdp. You have probably heard all about teeth whitening. If you watch TV reality shows, you will no doubt have seen people with teeth that are whiter than white. Ah, you think, they’ve had their teeth whitened and you may have assumed that teeth whitening is all about bleaching the natural colour from the teeth. But it’s not. It’s all about removing the build-up of stains from the food and drinks we ingest. The tannins in tea, coffee and red wine get trapped in the pores of our tooth enamel. Dark staining from blueberries and other dark fruits can also leave their mark, as can tobacco and even certain medications. Over the years, it is these that can dull the natural whiteness of our teeth, making us look older and less healthy. Teeth whitening gels work to gently lift out the traces of these foodstuffs. The active ingredient in whitening gels is hydrogen peroxide, a tried and tested disinfectant and whitener that has been around for a couple of hundred years. It’s a very simple chemical, just water with an added oxygen molecule. Tooth whitening gels come in different strengths, with the stronger ones working more quickly. The stronger ones are only available from your dentist and can only be used by them or under supervision by them. This means that the amount of whitener in off-the-shelf products, including toothpaste, are pretty ineffective. The strongest whiteners can only be used in the clinic here at Leamington Spa Dental Practice in Leamington Spa. It takes around an hour for us to power whiten your teeth. We protect your lips and gums with a plastic barrier and paint on the gel. You can also use a weaker gel at home, with our bespoke whitening trays. They will give you maximum contact with the gel, while avoiding spillage. This treatment takes about 2 weeks of daily wear for a short period. The bonus of doing your whitening at home is that you can easily buy more gel when you need to carry out a top-up treatment. Why not come in for a consultation to decide which method best suits you? This entry was posted in Teeth Whitening on 5th February, 2019 by lsdp. Just as you can get a makeover for your wardrobe, your car, your house or your garden, you can also get one for your smile. Here at Leamington Spa Dental Practice in Leamington Spa, we have a specific cosmetic dental treatment package called a smile makeover. 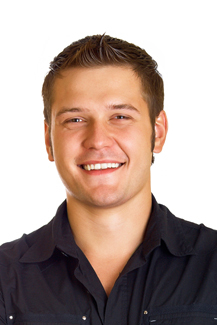 Generally speaking, a smile makeover is a combination of 2 or more cosmetic dental treatments. However, what elevates the smile makeover is that instead of coming at cosmetic dentistry piecemeal, we plan a course of treatments that is specifically designed to bring out the best in your smile. When we plan a smile makeover, we are looking at your teeth in a different way from when we are carrying out general or restorative dentistry. Here, our aim is to bring a sense of balance and harmony to your teeth and gums, in relation to each other, to the size and shape of your jaws, and also in relation to the size and shape of your face. Beauty is all about ratio and harmony. We will be looking at the size, shape, position and colour of your teeth, and also your gums. We start from the basis that your teeth are in good condition, so if you need any restorative work such as fillings, we will do that first. During the planning consultation, we will talk over with you what kind of results are you are looking to achieve. Then we will take a detailed look at your teeth, taking photos and x-rays. We will use all this information to put together a written treatment plan, including costs, for you. Once you have approved the plan, we can get going on the treatments. We may be able to start straight away. Some treatments take longer than others. For example, if you are going to have some teeth replaced with dental implants, it will take a few months, as there is several weeks healing time involved in the middle of the process. Other treatments, such as teeth whitening, can be completed in around an hour in the dentist’s chair. Make 2019 the year your smile gets a makeover and come in for a consultation with our cosmetic dentist. This entry was posted in Smile Makeover on 3rd January, 2019 by lsdp. Ever been on a date with someone and very much wanted to kiss them until you saw the state of their teeth? What put you off? We are willing to bet it wasn’t necessarily that they were perfectly lined up or that that they were totally undamaged, but that it looked like they weren’t going for regular check-ups and cleanings. We are hardwired to look into people’s mouths and make decisions as to the state of their health based on what we see. If we see dirty teeth and furry tongues, we are more likely to back off than want to get up close and personal with that person. Back in the days of our earliest ancestors staying away from disease was vitally important and the mouth was one way to tell how disease-ridden someone was. Not much has changed in that department, and that’s why so many people have cosmetic dentistry these days. There’s not much point, however, in spending hundreds of pounds on whitening, veneers, gum recontouring and so on if the teeth and mouth are not healthy to begin with. That’s why at Leamington Spa Dental Practice in Leamington Spa, we place as much emphasis on the foundation treatments of general dentistry as we do on the frills and furbelows of cosmetic treatment. And you should too. We encourage all our patients to come for 2 check-ups a year. This may be increased if you have diabetes, are a smoker or are pregnant, or have another health condition that affects your mouth. In those 6 months between check-ups, problems can develop that, if we catch them early, can be cleared up very easily. Leave them longer, and they become more difficult and expensive to treat. Six-monthly cleanings also prevent problems from occurring in the first place by removing the plaque that causes them. Many general dentistry treatments are available on the NHS, so you don’t have to pay so much for maintaining your oral health. Book an appointment and get your oral basics right. This entry was posted in Genaral Dentistry on 4th December, 2018 by lsdp. Getting tested for some forms of cancer is now part of a normal health regime for most men and woman. Our National Health Service regularly call us for appointments and although they are not the most pleasant of experiences, everyone can agree they are necessary and, if cancer is caught in the very early stages, it can be completely treatable. There’s no difference when it comes to mouth cancer and it might surprise you to know the best person for the job is your dentist. In Leamington Spa, mouth cancer screening is simple to access and taken seriously by us at Leamington Spa Dental Practice. We like to keep on top of our patients’ oral health. As part of your yearly check-up, we will ask you to come for a screening appointment; it is routine and does not mean there’s a problem. It’s very simple and completely painless. We will talk you through your mouth cancer screening process and look through your oral health history, determining any risk factors you may have. Unfortunately, if you do smoke or if you drink heavily, like your GP, we would encourage you to reduce or quit altogether. This would have the added benefit of improving your overall gum health and reduce teeth staining – added benefits for taking care of yourself. Once we’ve screened your past history and supported you with any diet or smoking cessation advice. We will then make a thorough examination of your mouth, head and neck. We’ll then look inside your mouth and under your tongue. We’re looking for any lumps, sores or long-term ulcers, anything a bit out of the ordinary. If we do find anything, it doesn’t mean it’s cancer, but it will be treated incredibly professionally and with care, ensuring you are given the correct treatment or referred to a specialist. As your local dentist in Leamington Spa, we can provide you with information and support. Don’t forget, catching things early is the best choice for you and your family. Book your routine screen today and we can set you on the path to great oral care. This entry was posted in Mouth Cancer Screening on 6th November, 2018 by lsdp. What is it about teeth that makes every little imperfection on them so darn noticeable? Every chip, every worn edge, every slight twist or stain, you just know everyone can see them. No, you’re not being paranoid. People really do notice every little crack or chip, gap and twist because evolution has hardwired us to. Mouths are gateways to the body and when we look into someone’s mouth, when they smile and talk, we subconsciously form opinions about how healthy they are. And if their teeth don’t look so great, it makes us recoil just a tiny bit. And that’s not good because evolution also designed our smiles to be our most important non-verbal method of communication. Give a big smile and people are hardwired to treat you like a friend. Cover your mouth with your hand, or smile with closed lips and people can start to think you are cold and unfriendly. So, what to do about those imperfections? Fortunately, here at Leamington Spa Dental Practice, we have the solution: veneers. Veneers are tiny sheaths made out of dental porcelain. They are cemented onto the fronts of your teeth to cover over imperfections. They can be used to cover over chips, cracks, stains, gaps and worn edges. They are also a great way to sort out the odd mildly misaligned tooth that it would be a bit over the top to get braces for. It takes a couple of appointments. During the first, we take impressions of your teeth and these go off to the lab where the veneers are made. We tell the lab what colour to make them, and they make sure the veneers will match your other teeth in shape and colour. We then remove a thin layer of enamel from your teeth and later cement the veneers on. Veneers are very strong and can last for at least 10 years, with good care and avoiding doing silly things like using them to open bottles. You can get one or two done, or have all your teeth covered. Come and find out what veneers can do for you. This entry was posted in Veneers on 4th October, 2018 by lsdp. 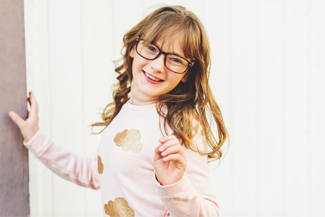 What happens to your children’s teeth can influence their oral health throughout their lives, which is why at Leamington Spa Dental Practice, we see children’s dentistry as vitally important. In Leamington Spa, children’s dentistry is all about education, developing good habits and preventing decay. If these are taken care of well, your children can go off to their adult lives with a set of beautiful looking, healthy teeth and dental habits that are ingrained enough to enable them to keep them up even when they move towns time and again. Working with us as a team will enable you to give your children their best shot at keeping their own teeth for life. It can take quite a while for kids to get skilled at brushing their teeth, and to develop the discipline to stand at the sink for 2 minutes twice a day. We can help teach them with lessons from the hygienist and also by you bringing them along to your own or older siblings check-ups so that they get used to the dentist and see the clinic as a positive environment. All of our dentists have lots of experience in working with children and putting them at ease. Decay is quite a problem for kids. They are still acquiring toothbrushing skills and they are far more likely to be consuming sugary snacks and drinks. Keeping plaque at bay can be a problem. Some parents mistakenly believe that decay in baby teeth doesn’t matter because they are going to come out anyway, but decay can move from these teeth to the adult teeth waiting to come through behind them. We offer 2 ways to protect your children’s teeth from the acids that cause decay. Fluoride treatment hardens tooth enamel to make it harder to erode. Fissure sealants, which are painted onto the chewing surfaces and crevices of the back teeth, act as a barrier against plaque in places that are hard for young brushers to clean. If you and the team here at Leamington Spa Dental Practice work together as a team, we can make sure your children have a bright dental future ahead of them. This entry was posted in Children's Dentistry on 6th September, 2018 by lsdp. Isn’t it great that we live in a time when being able to keep the years at bay with anti-wrinkle injections and dermal fillers has become completely acceptable and increasingly available. The other big worry for many people was that having treatments would have to be with someone who did not really understand the complex anatomy of the face, but you don’t even have to worry about that now that treatments are available from Leamington Spa Dental Practice. Dentists are perfectly placed to deliver facial aesthetics because we are already highly trained in the anatomy of the face, and already highly skilled and experienced in the accurate and careful delivery of local anaesthetics by needle. It’s only short step from that to delivering anti-wrinkle injections and dermal fillers in Leamington Spa in just the right places and just the right amounts such that you look younger and fresher, but still have full use of your facial expressions. Here is where we use the anti-wrinkle injections, targeting frown lines, crow’s feet and worry lines, all around the eyes. We stop the signalling between the nerves and the muscles so that these habitually contracted muscles have to fully relax. It takes a few days for this to happen and you can watch the lines gently smooth out. Treatments last up to four months, so come for a top-up after three. 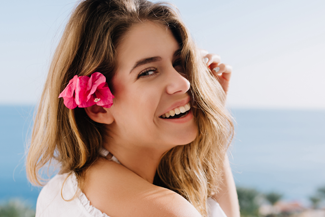 Folds from the nose to the mouth, from the mouth to the chin, lines along the top lip, and flattening of the top lip can all be treated with dermal fillers. We carefully inject just the right amount of hyaluronic acid, a substance naturally produced by the body, into these areas to plump them out. The treatments generally last for 6–8 months, and the hyaluronic acid is absorbed by the body. You may well need to get your top lip done again sooner, as this area works particularly hard with speaking, smiling and eating. Treatments are really quick, you can have them done in your lunch hour. If you would like to find how these treatments could boost your confidence, why not come in for a consultation? This entry was posted in Dermal Fillers on 3rd August, 2018 by lsdp. 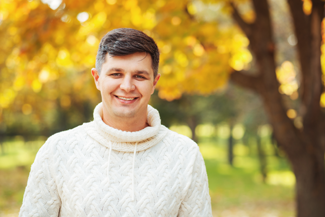 People seem to think that spending money on getting straighter teeth when yours are only mildly out of alignment is just a vanity exercise, but here at Leamington Spa Dental Practice, we see it differently. Yes, it’s great to have a beautiful-looking smile to gaze at in the mirror, but a great smile is also easier to keep clean because when the teeth line up properly next to each other along the arch of the jawbone, they offer fewer hiding places for dental plaque to build up in. Dental plaque is the source of most dental problems. It gives off acids that eat away at enamel to cause decay and inflame and irritate the gums to cause gum disease. Both of these problems can eventually lead to tooth loss, with a fair amount of pain and embarrassment along the way. We think most people would like to avoid that, and one way to do so is to get your teeth straightened. The Invisalign system uses a series of see-through, thermoplastic aligners instead of brackets and wires. They are only 0.3mm thick. They hug teeth so closely that once they are put in the mouth, they cannot be seen except by looking really closely, which for most levels of social interaction would be a bit odd. This is a great plus both for self-conscious teens who want to avoid being teased, and for image-aware adults who need to present a professional image at work. One thing that puts a lot of people off teeth straightening is the extra time that needs to be spent keeping the straightening devices clear of food debris. Invisalign aligners are taken out for eating and drinking (you keep them in only for plain water). All you need to do after a snack, a coffee or a meal is clean your teeth before putting your aligners back in. If you are thinking of getting your teeth straightened, Invisalign could be the way to go. Why not come in for a consultation? This entry was posted in Invisalign on 4th July, 2018 by lsdp.